Meet the 17-member board responsible for the transportation system in Virginia! Learn more about our award winning system for funding the right projects in Virginia. 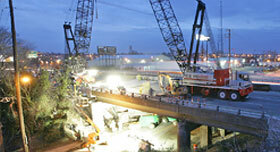 Learn more about some of our current transportation projects that keep Virginia moving. Welcome to Virginia's Commonwealth Transportation Board website. Here you will learn how we are revolutionizing transportation through programs like SMART SCALE, our new performance based approach in selecting the right projects that generate the most benefit for the money invested. You’ll also find information on Virginia’s major transportation improvement projects, convenient ways to follow our work and offer suggestions, and even ways to help us spread the news that Virginia is still the birthplace of revolutionary thinking. 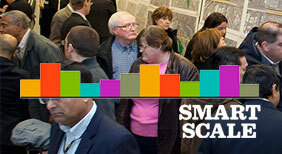 Learn more about our award winning SMART SCALE scoring system for transportation projects. Watch live stream videos of CTB meetings or our archive of past meetings. 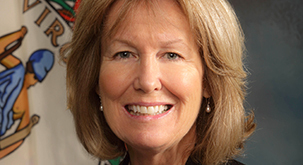 Learn more about the 17-member board that oversees Virginia's transportation policy.